Here Comes Little Red Riding capucha, campana. 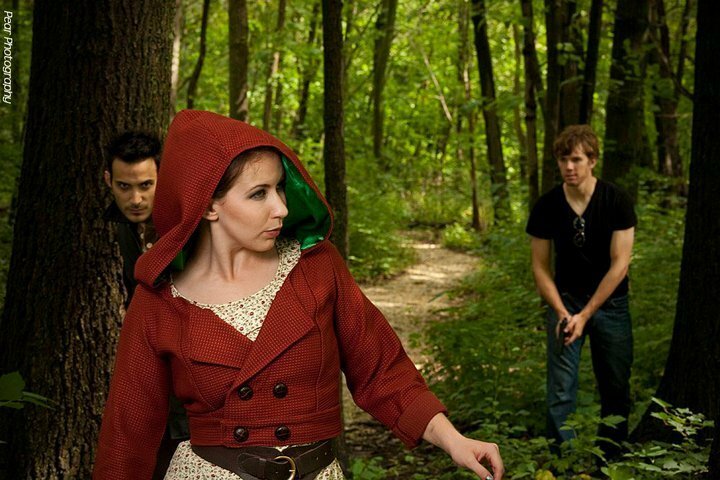 A Shot from the Urban Fairy Tale Series por Perry Heideman and Liz Shipe. HD Wallpaper and background images in the Fairy Tales & Fables club. This Fairy Tales & Fables photo might contain abeto de douglas, abeto douglas, abeto sitka, picea sitchensis, sitka abeto, and sitka spruce.